Tasha Gorel and the cast and audience for Abby Koenig’s Garbage Island at the Rec Room. 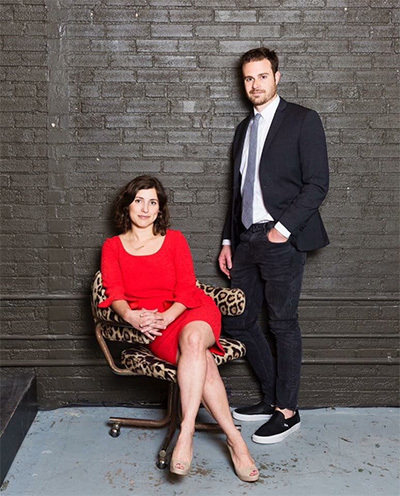 “What the heck is a Rec Room?” was the question I set out to answer almost a year ago when I interviewed the performance art space co-owners and founders, Matt Hune and Stephanie Wittels Wachs. I soon discovered that downtown Houston’s Rec Room is a place to see quirky performances and shows of general weirdness, from theatrical rock funeral wakes to live comedy podcast recordings to parody reenactments of 90s cult television. Yet, when speaking to Hune and Wachs, I soon realized they had visions of Rec Room becoming something more, a kind of Platonic ideal of a performance art hangout, where people could come every night, meet friends at the bar, then see a new show and perhaps feel part of a growing art and audience community. 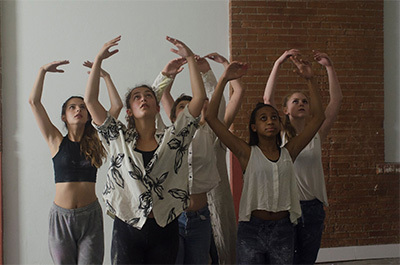 Now a year later, the artful business partners have moved closer to making those aspirations real with the launch of the nonprofit content-generating company, Rec Room Arts, and its inaugural season of dance, opera and theatrical performances. From its inception, Hune and Wachs modeled Rec Room more along the lines of a comedy club than a theater company, but with the idea of presenting substantial yet fun artistic performances, and yes, the occasional comedy act. Rec Room Arts will help them to fulfill those dreams of a full calendar, though the stage will continue to be a space that theater companies and performers can rent. “We’re working at how to reach audience members, how do we do theater for a culture that’s not always good at sitting still and watching a play,” says Wachs, explaining Rec Room Arts’ mission and philosophy. The season begins with a brand new, and “punk” according to Hune, version of Stravinsky’s Rite of Spring (June 15-July 8) choreographed by Laura Gutierrez, one of Dance Magazine’s “25 to Watch.” Later in the summer, Hune and Wachs have created a sequel to one of the first Rec Room shows, Dead Rock Star Sing-a-Long Club (July 20-Aug. 12), this time celebrating the music of George Michael and Sharon Jones. Claire Domenic-Smith, Emma Singleton, Amy Oden, Amelia Hernandez, Maya Parker, and Sarah Gowdy in the recent Rec Room production of The Rite of Spring, choreographed by Laura Gutierrez, and directed by Matt Hune. Photo by Natasha Niván Photography. In the fall, they’ll present Ike Holter’s new play Sender (Oct. 19-Nov. 11). Holter is a friend of Hune’s, which is perhaps why Rec Room will deliver only the second production of the play before a New York company likely picks it up. Staying with their tendencies for the offbeat, Engelbert Humperdinck’s opera, Hansel and Gretel (Dec. 7-23), to be performed in the 600 sq. ft. Back Room space, will certainly be a unique alternative to the usual holiday shows. The season ends with more theater and Caryl Churchill’s science speculative drama A Number (Feb. 22-March 17). The two-actor play about cloning will star local favorite Charles Krohn and bring Hune back onstage for his first role in almost two years. Hune acknowledges that taken together the season seems “super weird and diverse,” but alongside the idea of “epic stories in small spaces” Hune thinks all the works hold common themes of generational and situational inheritance. Along with this announced season, the Rec Room schedule will also feature works developed through their other new initiative, an artist residency program, of which Gutierrez is a member. Wachs explains that the program first began when they saw “all these amazing fringe and up-and-coming performers in Houston” who needed places to perform, but couldn’t afford spaces. The program they created sounds a bit like performing art consignment, as Rec Room provides a place for artists to rehearse and create, gives technical support and artistic feedback and then a stage to perform with a 50 percent split of box office sales. Surprisingly for all the initiative new works audiences can experience with a drink in their hand, a live Saturday morning kids’ show has taken the title of Rec Room’s most successful production. Every performance of Garbage Island, and its sequels, by Houston playwright Abby Koenig, with original music and songs by Greg Cote has been sold out. 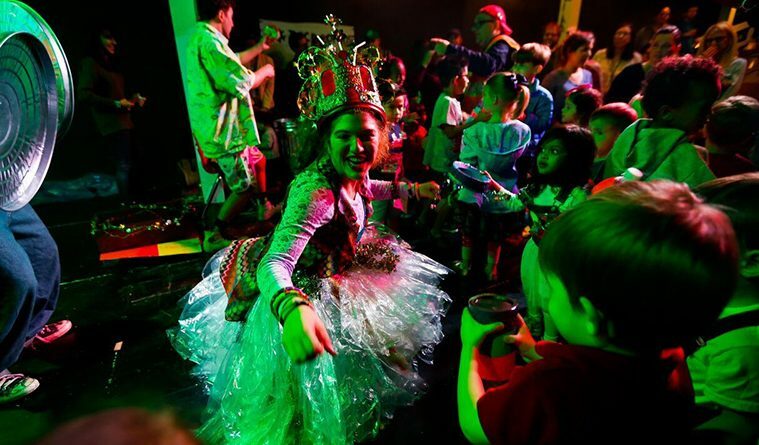 The educational and interactive tale of life in trash-land was conceived by Koenig to entertain both kids 2-6 and their parents, who receive a mimosa with their ticket. With an eye at growing theater-loving toddlers, while enticing adults with community and alcohol to wander into a new show, Rec Room revs up this summer and beyond to bring multiple generations into a new kind of performance experience with the overall goal of giving everyone access to performing arts.